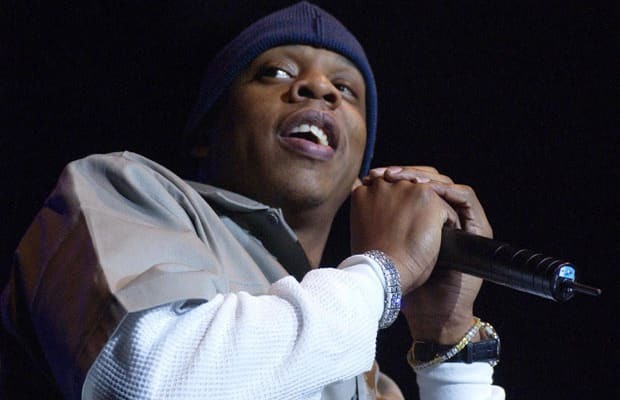 Just Blaze: “Jay's maybe given me one or two concepts over the years, 'Hovi Baby' was one of them. That was an idea that he'd had for a minute. He had the hook in his head for a day or two, but we didn't have a beat for it. “I made that beat the day Left Eye died. It was a TLC sample, a live version of 'Digging On You.' I was driving with my ex-girlfriend in the car and she had just died. All the radio stations were doing their tributes. We were in the car on 25th street, and they played that. “That was the first song they played, and I was stunned. [My ex-girlfriend] was talking to me, but it was like everything she was saying became Charlie Brown's teacher in the background. She went from talking to just 'womp, womp, womp, womp, womp.' I couldn't hear anything else but this intro. “I was freaking out like, 'I have to find this now.' I don't think it was on any album. It was the video version of the song. I went and found and downloaded the video, but it had talking on it from the dude who was announcing them. So I called every record collector store, and I found the 12 inch. “The 12 inch had the intro open, and I went and started the beat. The sample itself was so crazy that it overpowered me for like an hour. It had so much going on that I had to figure out just what to take and how to take it, and then—as fate would have it—right when I nailed it Jay happened to walk into the room. “He was like, 'Oh my God, you're a genius. That's it, how'd you know?' I had forgotten that we talked about the 'Hovi Baby' idea the day before. So he spit the hook over the beat and it worked. “I gave him the raw beat as it was, and it was really just the drums and the sample. Afterwards, I went back and added the bass line, and some of the synths after he went and did his two verses. “I didn't add the intro until we mixed it, but I told him I was going to add a crazy intro. That's when he said, 'I want to introduce my band right now, Just Blaze and the Blazettes.” Then I went back and added a live band thing after the synths. I can get around on the keyboard. I'm not the greatest keyboarder alive, but there's times when I'll have it in my head before it's done, so I already had the vision in the notes and everything. Every once in a while I have my little moments where I can see the sounds, and that was one of them. “I was surprised. I can get around on the keyboard. I'm not the greatest keyboarder alive, but there's times when I'll have it in my head before it's done, so I already had the vision in the notes and everything. Every once in a while I have my little moments where I can see the sounds, and that was one of them. I put that down and mixed it at Sound on Sound. We mixed that and 'U Don't Know' on the same day. “He hit me back like, 'Yo, you're my favorite. You're the best. Keep going.' That record re-solidified our relationship. We already had a relationship, but he was super hype. If you had heard the original record and then what it ended up being, it wasn't completely different but it was night and day, in terms of how big it sounded. “I do a lot of my records more with performance in mind than club or radio, and I think that moment was the beginning of that aesthetic for me. It was a really big-sounding record, not just a lot of instrumentation but the way the instrumentation was played. I was envisioning it being played by a band at the Garden or at a huge venue.